Music of Life has been working with state special schools since 2012, forming choirs and inspiring communities. Our approach is to run weekly 90-minute singing workshops led by highly experienced professional musicians for at least one year during term time delivering steady musical progress and other measurable benefits, from improved communication skills to positive changes in medical conditions. Participating schools report significant and sustained improvements in behaviour in students with considerably lower number of outbreaks of aggressive and challenging behaviours. We also train the staff at schools to help them integrate the legacy of the Music of Life sessions into the wider curriculum using effective techniques that stimulate students’ development in such areas as literacy, numeracy, coordination, speech and social interaction. 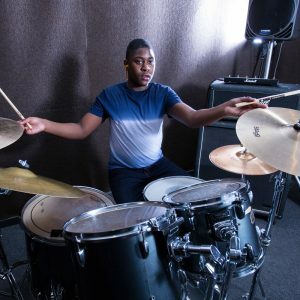 Pupils are generally more enthusiastic towards music and are more able to learn and remember songs, particularly the melody as a result of Music of Life workshops. Much more confident and enthusiastic in lessons, leading to greater participation, pupils have developed skills in singing, listening and memory. They have had an insight into the musical world e.g. music as a profession, music as a positive experience. Pupils are able to identify features of musical elements more easily. Some of the workshop outcomes are curriculum outcomes such as turn-taking, counting, working in a team, learning vocabulary, understanding the context, literacy and numeracy. Workshop leaders use terminology and key words that reinforce learning in the classroom. Pupils have shown greater confidence in lessons throughout school. I found out I was brave like taking part with the singers, and say what I feel.